KIEV, February 20. /TASS/. Ukrainian President Pyotr Poroshenko has signed into law the bill "On the special aspects of state policy aimed at ensuring Ukraine’s state sovereignty over the temporarily occupied areas of the Donetsk and Lugansk Regions" (on Donbass reintegration). "This law substantially strengthens the legal basis for using the Ukrainian Armed Forces and other law enforcement agencies for defending our state. At the same time, it establishes rules for the protection of civilians’ rights and freedoms," Poroshenko said signing the document. The procedure was broadcast live by Ukrainian TV channels.The law enters into force on the day of its publication. Poroshenko has ordered senior military commanders to come up with ways to change the framework of the Donbass military operation as soon as possible, as he himself said at a meeting of the war cabinet, following his signing of the Donbass reintegration law. "I order you to prepare proposals concerning ways to change the framework," Poroshenko said addressing Defense Minister Stepan Poltorak and Chief of the General Staff Viktor Muzhenko. 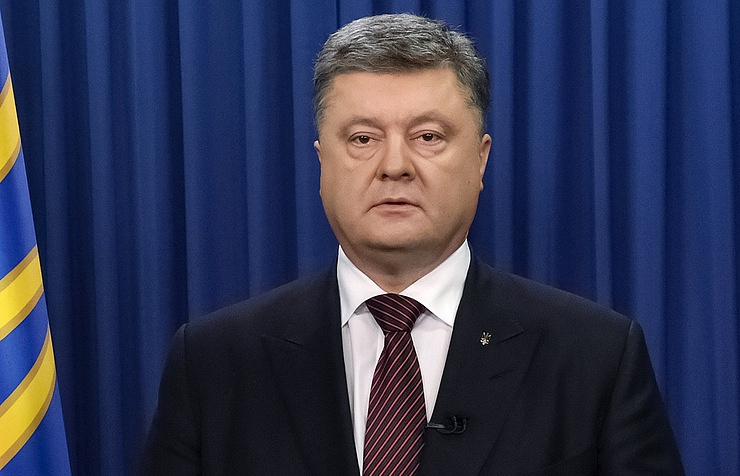 The Ukrainian president also ordered to nominate a commander for joint armed forces, as well as to present "a strategic intent" concerning the Ukrainian armed forces’ further actions in Donbass. According to Poroshenko, all the "preparations" must be completed before April 1. The law, initiated by President Poroshenko, refers to the specified eastern regions as "temporarily occupied territories" and defines Russia’s actions as "aggression against Ukraine." The bill provides for setting up the joint operation headquarters of the Ukrainian armed forces to control all military units and military-civil administrations in the conflict zone and gives the president the right to use the armed forces inside the country without the parliament’s consent. Does the law comply with the Minsk accords? "Neither the spirit nor the letter of this law goes against the Minsk agreements as some want to depict it. Ukraine unwaveringly abides by and will continue to abide by its international commitments," President Poroshenko insists. However, statements by many among his administration suggest the opposite. Thus, president’s representative in the parliament Irina Lutsenko said Ukraine has got legal grounds for preparing to file a consolidated complaint against Russia as ‘aggressor country’ to international institutions. The chief of the National Security and Defense Council, Alexander Turchinov, said that due to the law on reintegration, Kiev has got more possibilities for using the army in the east of the country, as the law "unequivocally recognizes Russia as an aggressor state, while the territories of certain areas of the Donetsk and Lugansk regions - occupied territories". This point of view is shared by the main pro-government parties in the parliament. The Opposition Bloc is the only parliamentary party openly coming out against the law. It even sought to revoke the law, putting to vote a relevant resolution. However, it was declined by the majority of votes. Many Ukrainian political analysts agree that the new law in fact derails the Minsk process. 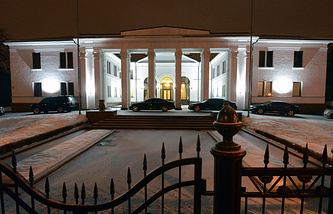 "Whereas a direct dialogue between Kiev, Donetsk and Lugansk is set in the Minsk accords, while Russia, Germany and France act as guarantors of this dialogue, the law does not mention any representatives from certain areas of the Donetsk and Lugansk regions, only the occupation administration," the director of the Ukrainian Institute for Analysis and Management of Policy, Ruslan Bortnik, told TASS. "Moreover, Russia is no longer a guarantor in this law, but an occupant, an aggressor country which seized Ukrainian territories," he said. "Now anyone who will carry out a dialogue with Donetsk and Lugansk, for example, can be held criminally responsible," he noted. "There won’t be any amnesty now either, as all who cooperated with the occupation administration or are responsible for moral and financial damage to Ukraine, are liable to criminal persecution," he said. The head of the Ukrainian non-government organization Public Audit, Maxim Goldarb, draws attention to the strengthening of presidential powers. "The law does not envisage any moves at all on the real return of Donbass, this is not what is was meant for," he said. "Its real aim is to continue anti-constitutional consolidation of power in the hands of the president," he added. The Minsk agreements, signed by members of the Trilateral Contact Group in February 2015 and approved by the leaders of the Normandy Four (Russia, Germany, France and Ukraine), laid the foundation for a peaceful settlement to the Donbass conflict. The deal envisages not only a ceasefire and a withdrawal of weapons, amnesty and restoration of economic ties, but also profound constitutional reforms in Ukraine to decentralize power, granting special status to certain areas of the Donetsk and Lugansk regions in the country’s east.